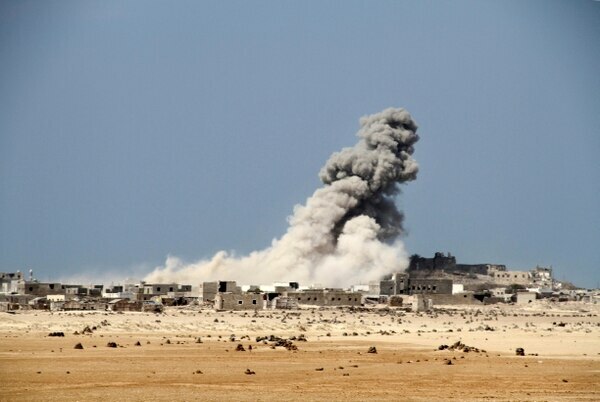 ATAQ, Yemen — Again and again over the past two years, a military coalition led by Saudi Arabia and backed by the United States has claimed it won decisive victories that drove al-Qaida militants from their strongholds across Yemen and shattered their ability to attack the West. Here's what the victors did not disclose: many of their conquests came without firing a shot. "Elements of the U.S. military are clearly aware that much of what the U.S. is doing in Yemen is aiding AQAP and there is much angst about that," said Michael Horton, a fellow at the Jamestown Foundation, a U.S. analysis group that tracks terrorism. "However, supporting the UAE and the Kingdom of Saudi Arabia against what the U.S. views as Iranian expansionism takes priority over battling AQAP and even stabilizing Yemen," Horton said. The AP's findings are based on reporting in Yemen and interviews with two dozen officials, including Yemeni security officers, militia commanders, tribal mediators and four members of al-Qaida's branch. All but a few of those sources spoke on condition of anonymity, fearing reprisals. 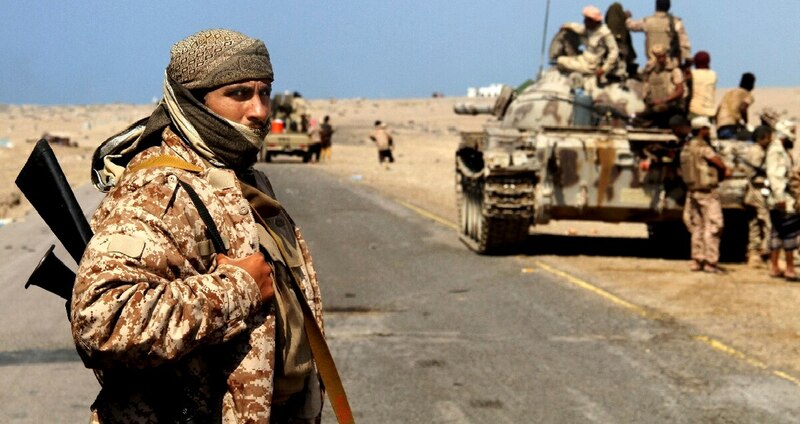 Emirati-backed factions, like most armed groups in Yemen, have been accused of abducting or killing their critics. Coalition-backed militias actively recruit al-Qaida militants, or those who were recently members, because they're considered exceptional fighters, the AP found. Horton said much of the war on al-Qaida by the UAE and its allied militias is "a farce." "It is now almost impossible to untangle who is AQAP and who is not since so many deals and alliances have been made," he said. The U.S. is aware of an al-Qaida presence among the anti-Houthi ranks, a senior American official told reporters in Cairo earlier this year. Because coalition members back militias with hard-line Islamic commanders, "it's very, very easy for al-Qaida to insinuate itself into the mix," the official said, speaking on condition of anonymity under the terms of the briefing. "Since the beginning of 2017, we have conducted more than 140 strikes to remove key AQAP leaders and disrupt its ability to use ungoverned spaces to recruit, train and plan operations against the U.S. and our partners across the region," Navy Cmdr. Sean Robertson, a Pentagon spokesman, wrote in an email to the AP. A senior Saudi official commented by saying that the Saudi-led coalition "continues its commitment to combat extremism and terrorism." "The United States is certainly in a bind in Yemen," said Katherine Zimmerman, a research fellow at the American Enterprise Institute. "It doesn't make sense that the United States has identified al-Qaida as a threat, but that we have common interests inside of Yemen and that, in some places, it looks like we're looking the other way." "Meaning, if we send 20, we come back with 100," he said. It was painted as a crowning victory in a months-long offensive, Operation Swift Sword, that the Emirati ambassador to Washington, Yousef al-Otaiba, had proclaimed would "disrupt the terrorist organization's network and degrade its ability to conduct future attacks." The Pentagon, which assisted with a small number of troops, echoed that promise, saying the mission would weaken the group's ability to use Yemen as a base. But weeks before those forces' entry, a string of pickup trucks mounted with machine guns and loaded with masked al-Qaida militants drove out of al-Said unmolested, according to a tribal mediator involved in the deal for their withdrawal. The U.S. has killed al-Qaida's top leaders in a drone strike campaign that accelerated in recent years. But in this victory — as in the others touted by the coalition — the mediator said armed U.S. drones were absent, despite the large, obvious convoy. Under the terms of the deal, the coalition promised al-Qaida members it would pay them to leave, according to Awad al-Dahboul, the province's security chief. His account was confirmed by the mediator and two Yemeni government officials. Saleh bin Farid al-Awlaqi, a pro-Emirati tribal leader who was the founder of one Elite Force branch, denied any agreements were made. He said he and others enticed young al-Qaida members in Shabwa to defect, which weakened the group, forcing it to withdraw on its own. He said about 150 fighters who defected were allowed into the Elite Force, but only after they underwent a "repentance" program. Overall, deals that took place during both the Obama and Trump administrations have secured al-Qaida militants' withdrawal from multiple major towns and cities that the group seized in 2015, the AP found. The earliest pact, in the spring of 2016, allowed thousands of al-Qaida fighters to pull out of Mukalla, Yemen's fifth-largest city and a major port on the Arabian Sea. "Coalition fighter jets and U.S. drones were idle," said a senior tribal leader who saw the convoy leaving. "I was wondering why they didn't strike them." Coalition-backed forces moved in two days later, announcing that hundreds of militants were killed and hailing the capture as "part of joint international efforts to defeat the terrorist organizations in Yemen." No witnesses reported militants killed, however. "We woke up one day and al-Qaida had vanished without a fight," a local journalist said, speaking to AP on condition of anonymity for fear of reprisals. "When the last one left, we called the coalition to say they are gone," he said. Hadi's predecessor as Yemen's president, long-ruling strongman Ali Abdullah Saleh, set the model. He took billions in U.S. aid to combat al-Qaida after the 9/11 attacks, even as he recruited its militants to fight his rivals. Hadi's current vice president, Ali Mohsen al-Ahmar, a military chief for decades, also has been accused of enlisting jihadis. Last month, Baterfi said in a Q&A session distributed by al-Qaida that "those at the front lines for sure know of our participation, which is either actual fighting with our brothers in Yemen or supporting them with weapons." Al-Qaida has reduced attacks against Hadi's and Emirati-linked forces because assailing them would benefit the Houthis, Baterfi said. The branch is following guidance from al-Qaida's worldwide leader, Ayman al-Zawahri, to focus on fighting the rebels, another top AQAP member said in written answers to the AP. In some places, militants join battles independently. But in many cases, militia commanders from the ultraconservative Salafi sect and the Muslim Brotherhood bring them directly into their ranks, where they benefit from coalition funding, the AP found. The Brotherhood's Yemen branch is a powerful hard-line Islamic political organization allied to Hadi. Some of the unit's fighters were openly al-Qaida, wearing Afghan-style garb and carrying weapons with the group's logo. As they climbed behind machine guns in pick-up trucks, explosions from coalition airstrikes could be seen on the horizon. An AQAP member interviewed in person by the AP in May viewed the video and confirmed the fighters belonged to his group. His affiliation is known from his past involvement in AQAP's rule over a southern city. The impact of the intertwining of al-Qaida fighters with the coalition campaign is clearest in Taiz, Yemen's largest city and center of one of the war's longest running battles. In the central highlands, Taiz is Yemen's cultural capital, a historic source of poets and writers and educated technocrats. In 2015, Houthis laid siege to the city, occupying surrounding mountain ranges, sealing the entrances and shelling it mercilessly. "There is no filtering in the war. We are all together," said the activist, who spoke on condition of anonymity. He said commanders received weapons and other aid from the coalition and distributed it to all the fighters, including al-Qaida militants. Abdel-Sattar al-Shamiri, a former adviser to Taiz's governor, said he recognized al-Qaida's presence from the start and told commanders not to recruit members. "Their response was, 'We will unite with the devil in the face of Houthis,'" al-Shamiri said. He said he warned coalition officials, who were "upset" but took no action. "Taiz is in danger," al-Shamiri said. "We will get rid of the Houthis and we will be stuck with terrorist groups." Rouzek's militia became notorious for kidnappings and street killings, with one online video showing its masked members shooting a kneeling, blindfolded man. 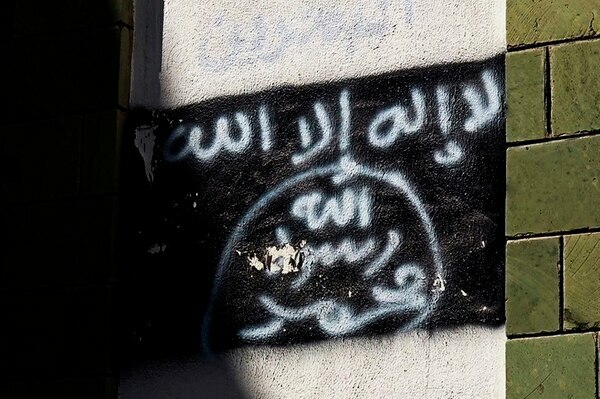 Its videos feature al-Qaida-style anthems and banners. Rouzek's top aide was a senior al-Qaida figure who escaped from a prison in Aden in 2008 along with other AQAP detainees, according to a Yemeni security official. Multiple photos seen by the AP show Rouzek with known al-Qaida commanders in recent years. 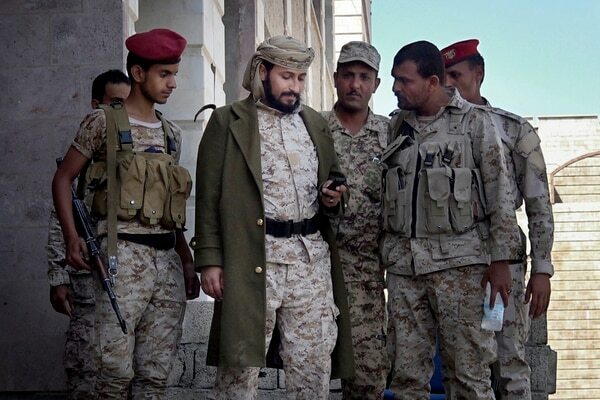 In November, Hadi named Rouzek head of the Taiz Operations Rooms, coordinating the military campaign, and top commander of a new fighting force, the 5th Presidential Protection Battalion. Hadi's Defense Ministry also gave Rouzek $12 million for a new offensive against the Houthis. The AP obtained copy of a receipt for the $12 million and a Rouzek aide confirmed the figure. Rouzek denied any connection to militants, telling the AP that "there is no presence of al-Qaida" in Taiz. The aide denied any links to militants and dismissed his boss's designation on the U.S. terror list. Nevertheless, he acknowledged that "al-Qaida has fought on all the front lines alongside all factions." Aboul Abbas runs a coalition-funded militia controlling several districts in Taiz. A 2016 video produced by al-Qaida shows militants in black uniforms with al-Qaida's logo fighting alongside other militias in districts known to be under his control. A former security official in Taiz said militants and Aboul Abbas' forces attacked security headquarters in 2017 and freed a number of al-Qaida suspects. The officer said he reported the attack to the coalition, only to learn soon after that it gave Aboul Abbas 40 more pick-up trucks. "The more we warn, the more they are rewarded," the officer said. "Al-Qaida leaders have armored vehicles given to them by the coalition while security commanders don't have such vehicles."